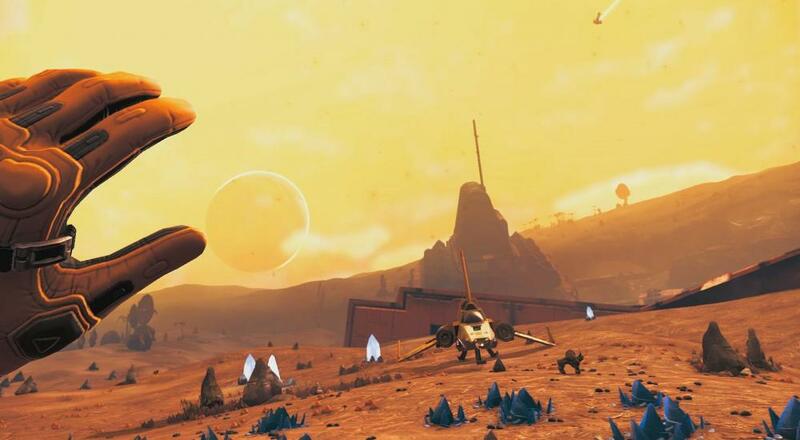 Hello Games' No Man's Sky is heading into its third year of existence, and the developer has plenty more in store for their exploration/survival adventure title. Last summer's "NEXT" update brought with it the four player online co-op we'd been hearing about since the game's launch, and this summer we'll be seeing further enhancements to that system along with something new: VR support. No Man’s Sky Online includes a radical new social and multiplayer experience which empowers players everywhere in the universe to meet and play together. Whilst this brings people together like never before, and has many recognisable [sic] online elements, we don’t consider No Man’s Sky to be an MMO – it won’t require a subscription, won’t contain microtransactions, and will be free for all existing players. The last bit there is important: no subscription needed. The "Beyond" update itself will be free to all existing (and future) players, so everyone will be able to take advantage of this. The VR support will be fully compatible with the base game and both updates, too. No Man's Sky is available on PlayStation 4, PC via Steam, and Xbox One. Four player online co-op is supported throughout the campaign. Page created in 1.1625 seconds.